Have you ever liked any music being played in a mall or restaurant and wondered which one is this, or tried to find the information on Artist or Album, then Shazam is just the right application for your Android device. 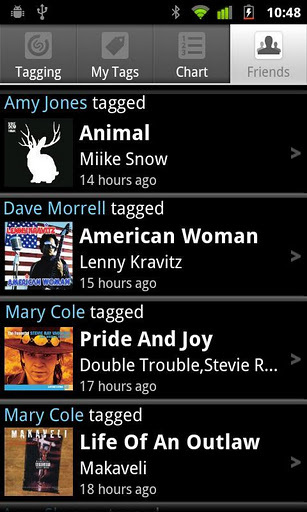 It is a free application which you can download from the Android market and lets you identify music instantly so that you can tag it as often you like without any monthly limits. Shazam uses a mobile phone’s built-in microphone to gather a brief sample of music being played and identifies songs based on an audio fingerprint based on a time-frequency graph called the spectrogram. The acoustic fingerprint is created based on the sample, and is compared against a central database for a match. If a match is found, information such as the artist, song title, and album are relayed back to the user. 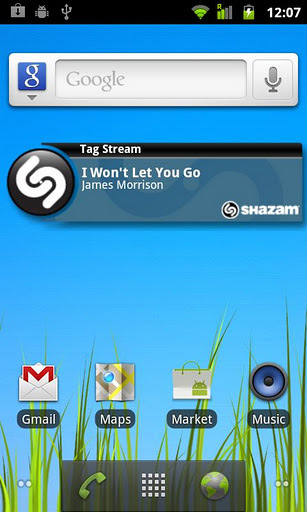 Relevant links to services such as iTunes, YouTube, Spotify or Zune are incorporated into some implementations of Shazam. 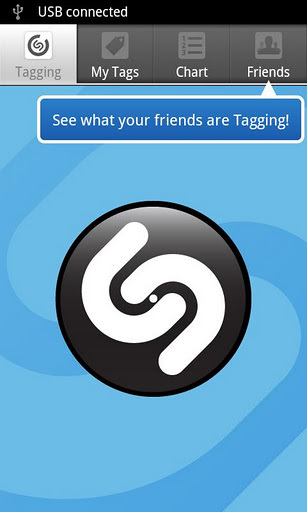 ○ Tag TV shows and commercials for exclusive content – Look for the Shazam Logo! 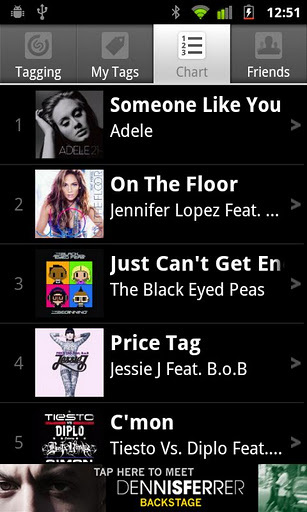 Shazam is the quickest and easiest way to discover more about music. 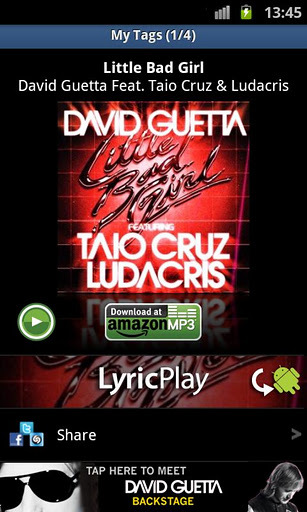 Hold your phone up to the music to identify a track, buy it, watch the video, get the lyrics, play in Spotify and more!